Dr. Lykourgos Iordanidis is a senior chemist and the Laboratory Manager of Analytical Services for RJ Lee Group. He oversees and directs the organic and inorganic laboratories in providing services to a broad range of industries for quality of materials, component performance, and forensic investigation. Dr. Iordanidis directs analysis for quality of materials, component performance, and forensic investigations. His team routinely investigates for regulatory compliance, manufacturing materials specifications, and root cause of failure. Using his extensive experience, Dr. Iordanidis leads studies related to air quality, heavy metals, inorganic acids, organic solvents and vapors and VOCs, and diesel particulate matter. He also conducts studies on synthesis, physicochemical, and structural characterization for materials such as porous and extended inorganic and organic solids. His work has resulted in the development of an anti-corrosion additive for concrete and its repair, as well as other chemical compounds for commercial applications. 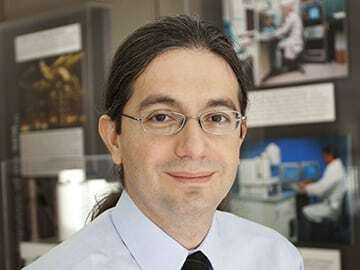 As a member of the American Chemical Society and the Materials Research Society, he holds one patent and has published extensively in peer reviewed literature.